Sohela Nazneen is a Research Fellow in Gender and Sexuality at the Institute of Development Studies (IDS) (Sussex, UK), and formerly Professor of International Relations at University of Dhaka, and a Lead Researcher at the Center for Gender and Social Transformation (CGST) at BRAC Institute of Governance and Development Institute (BIGD), BRAC University (Bangladesh). Professor Nazneen’s research mainly focuses on institutional analysis of gender, particularly in the areas of governance, rural and urban livelihoods and feminist movements. She completed her PhD on the gendered nature of NGO accountability relations from IDS in 2008. Sohela is currently leading a comparative research project for ESID that seeks to understand the relations between women’s inclusion in politics and their influence on education policy and domestic violence legislation in selected South Asian and sub-Saharan African countries. The research partners are: BRAC Institute of Governance and Development (BIGD); Center for Basic Research (CBR), University of Makarere; Center for Democracy and Development (CDD), University of Ghana; YWCA Rwanda and Dr Jennie Burnet based at University of Louiseville (USA). Nazneen, S. and Mahmud, S. (2014). ‘The gendered politics of securing inclusive development’, in S. Hickey, K. Sen and B. Bukenya (eds. ), The Politics of Inclusive Development: Interrogating the Evidence (New York: Oxford University Press). Nazneen, S. (2017). ‘Negotiating gender equity in a clientelist context: The role of informal networks in Bangladesh’, in G. Waylen (ed. ), Gender and Informal Institutions. Rowan and Littlefield. Hassan, M. and Nazneen, S. (2017). ‘Violence and the breakdown of the political settlement: An uncertain future for Bangladesh?’ Conflict, Security and Development 17(3): 205-223. Guest-edited a special issue on ‘Researching Women’s Empowerment’ for Women’s Studies International Forum Journal, (Volume 45, 2014). Sohela is co-editor of ‘Voicing Demands: Feminist Activism in Transitional Contexts’ (Zed Books: London, 2014). At CGST/BIGD, Sohela is co-principal investigator on an ESRC-funded project that explores women’s labour market participation. 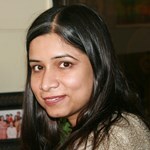 She serves as the co-lead of the South Asia Regional Secretariat for Women Parliamentarians (SARSWAP). She also serves as the focal point for the network on women’s unpaid care work (in collaboration with IDS, UK and SMERU, Indonesia and Actionaid International), which seeks to build alliances, develop policy asks around care needs of women, and promote them in national and international fora. At present, Sohela and her colleagues are planning to hold a photo competition and exhibit on men undertaking unpaid care work in Bangladesh. *See Sohela’s profile at IDS. *Hear Sohela discuss the role of women’s rights organisations in advocating for change on the Guardian Global Development podcast.